Those who have read the preview of REVITALIZATION publisher Storm Cunningham‘s upcoming third book, RECONOMICS, know the crucial-but-often-overlooked role of reconnecting when revitalizing a place. Most cities with revitalization or resilience programs are actively applying the first two elements of the 3Re Strategy (repurpose, renew, reconnect), but forget the third one. Now, the Rails-to-Trails Conservancy (RTC)—the largest trails organization in the U.S.—has proposed the repurposing and renewal of some 4000 miles of disused rail corridor to help reconnect the entire nation. RTC’s grassroots membership community is over 1 million strong. 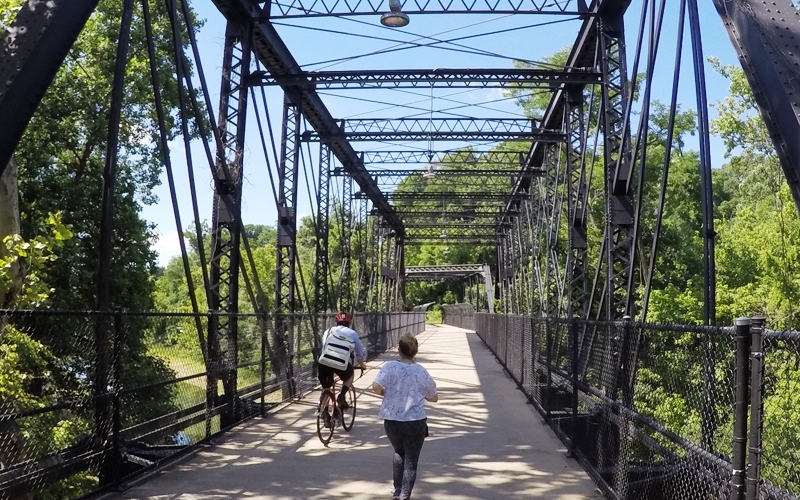 They are dedicated to connecting people and communities by creating a nationwide network of public trails, many from repurposing former rail lines. C&O Towpath Trail in Maryland & Washington, DC. Photo: TrailLink user dpg47 / RTC. On January 23, 2019, RTC announced its vision for the Great American Rail-Trail, an unprecedented commitment to creating an iconic piece of American infrastructure that will connect nearly 4000 miles of rail-trail and other multi-use trails from Washington, DC to Washington state. RTC is committing to this project after more than 18 months of analysis and collaboration with local trail partners and state agencies whose work is critical to the success of this significant undertaking. Analyses that were used to confirm the project’s viability included a thorough assessment of route options using RTC’s database of more than 34,000 miles of open trails nationwide; analyses of state and local trail plans; and discussions with hundreds of local trail partners and state agencies representing all of the trails along the potential route. Panhandle Trail in West Virginia. Photo: TrailLink user jdubohio / RTC. “At RTC, we’ve known the potential of a coast-to-coast rail-trail for decades,” said Keith Laughlin, RTC president. “But before we committed to bringing this vision to life, we wanted to be certain it was viable. With open trails comprising more than 50 percent of the potential route, combined with strong local and state enthusiasm, we are now confident that the Great American Rail-Trail can be completed. 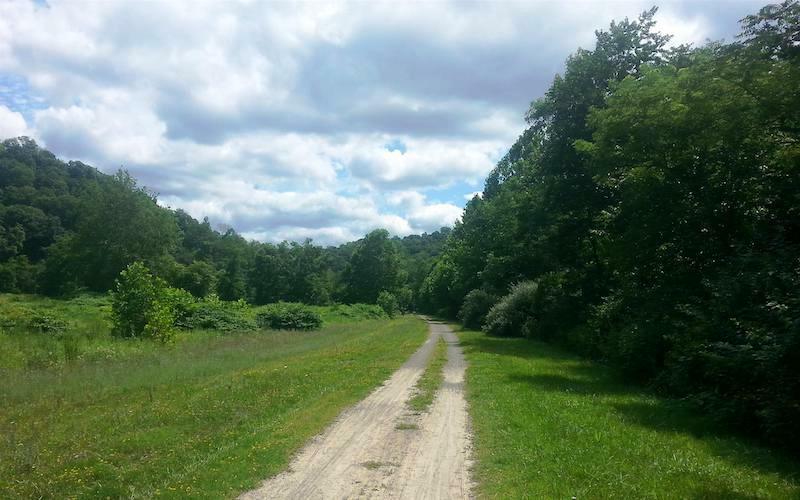 RTC is ready to lead the effort to connect the trail across communities, counties and state lines to create a seamless off-road biking and walking journey for the country,” he added. Separated from vehicle traffic, Great American Rail-Trail travelers will be able to experience the diversity of America’s landscape, its people and its places as the route traverses 12 states moving west from its start in Washington, DC. 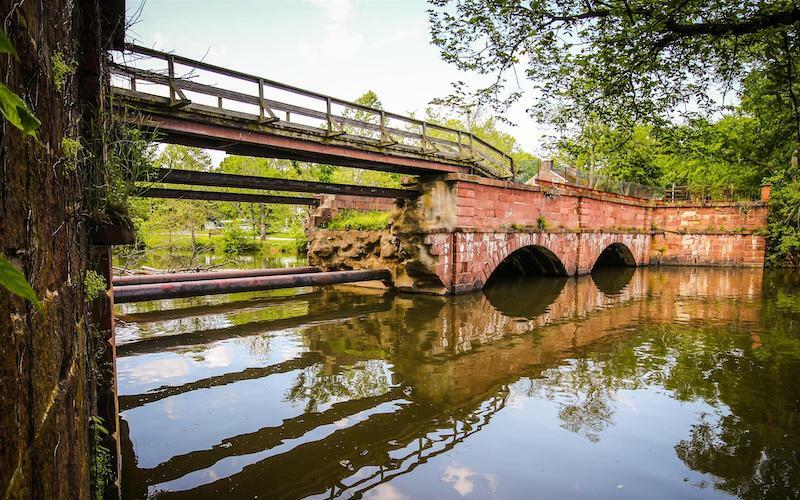 Capital Crescent Trail, Washington, DC., and Maryland: This 11-mile trail—and the Great American Rail-Trail—begins in Georgetown, near the historic landmarks of the nation’s capital. 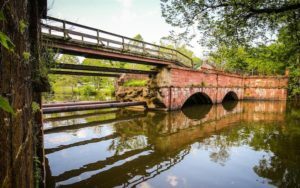 Chesapeake & Ohio Canal National Historical Park, Washington, DC., and Maryland: The nearly 185-mile trail connects Washington, D.C., to Cumberland, Maryland, featuring canal locks, lock houses, aqueducts and their canal structures. 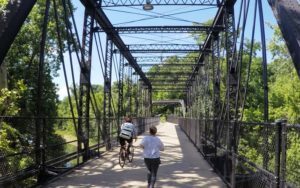 Cedar Valley Nature Trail, Iowa: This 52-mile pathway, one of the first rail-trail conversions in the state, follows the Cedar River and connects Waterloo, Cedar Falls and Cedar Rapids. Casper Rail Trail, Wyoming: This 6-mile trail is an important connector in one of the largest cities in Wyoming. “The Great American Rail-Trail is a bold vision—one that will take years to complete. The investment of time and resources necessary to complete this trail will be returned many times over as it takes its place among the country’s national treasures,” said Laughlin. Capital Crescent Trail in Maryland and Washington, D.C. Photo: Milo Bateman / RTC. “As we embark on the journey to complete the Great American Rail-Trail, we embark on the single greatest trail project in the history of the U.S. One that comes with an important legacy of unity, ambition and access to the outdoors for the nation. One that represents an opportunity to do something big for America,” he concluded. 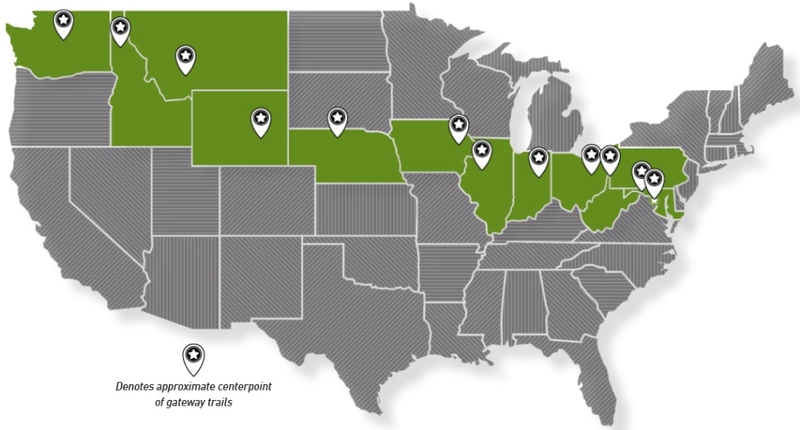 The Great American Rail-Trail is a signature project of RTC and the most ambitious in its portfolio of TrailNation™ projects—the organization’s initiative to encourage the rapid replication of regional trail networks across the country. The trail was first envisioned in the late 1980s by RTC co-founder David Burwell, and for decades has been an underpinning of the organization’s strategy to create a nationwide network of public trails. Featured Great American Rail-Trail map courtesy of RTC. See the Great American Rail-Trail website.